Our Facial Cleansers provides you with a luxurious lather to gently cleanse and soften the skin without the drying effect.Cleansers are used to cleanse your face from dirt, oil, pollution. 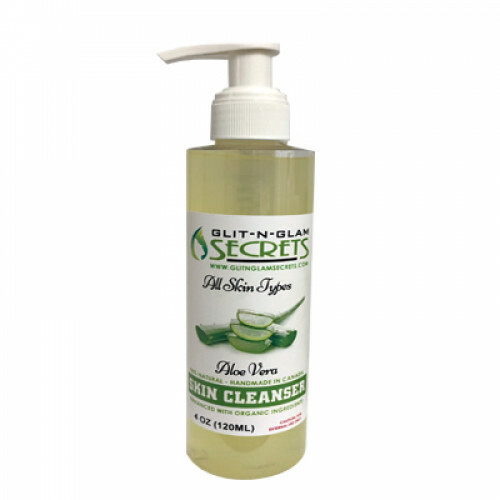 A gentle and mild cleanser with great emollience and the conditioning properties of a silk. The mild foaming action is derived from sources like corn and coconut. Includes Licorice Root Extract, Calendula Extract, Sandalwood Extract, Oat Extract,Chamomile, Aloe, Cucumber and Japanese Green Tea extracts, each used to soothe, tighten and act as an antioxidant on the skin. These botanicals can assist in epidermal problems and inflammation. Gentle on all skin types and suitable for daily use. Ingredients:-Deionized Water, Disodium Cocoamphodiacetate, Decyl Glucoside, Sucrose Cocoate, Glyceryl Stearate, Chamomilla Recutita (Matricaria) Flower Extract (Chamomile), Aloe Barbadensis Leaf Juice, Cucumis Sativus (Cucumber) Fruit Extract, Camellia Sinensis (Japanese Green Tea) Leaf Extract, Licorice Root Extract, Polysorbate 80, Emulsifying Wax NF, Calendula Extract, Sandalwood Extract, Oat Extract, Salicylic Acid, Peppermint Leaf Extract, Coconut Based Activated Charcoal, Geranium Essential Oil Organic, Phenoxyethanol and Caprylyl Glycol (Optiphen®). Direction: Work into a lather with water smooth over damp face with gentle circular motion for 2 minutes. Rinse off with warm water. Pat dry Followed by moisturizer for best skin care.